Personal Care | More Crunchy Beach Mama! I’m going to admit it. I’m going grey. sigh. I need to highlight my hair more than ever, but I will admit that adding blond streaks to my hair every so often makes me happy. I feel brighter and better! Mousy brown is no fun. What is the first question your hair sylist asks you after she’s completed her masterpiece? Is it Do you have color shampoo and conditioner?! This time I said yes! 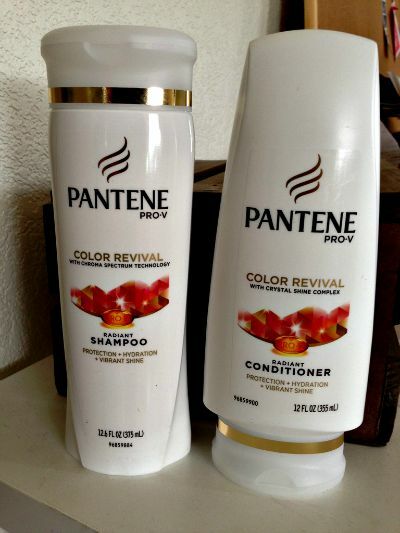 Pantene Color Revival Shampoo is made for color treated hair. I like it because it helps keep the color longer, but really the most important reason to use it is because it keeps your hair healthy and helps protect it from damage. We all know that putting hair dye on our head can not be the best thing. Our hair can get dry and brittle very easily. Add Pantene Color Revival Conditoner after your shampoo routine, paying special attention to the ends and lock that moisture in. Your hair should really shine when you’re all done and dry! 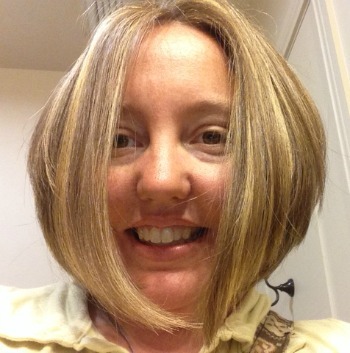 Here is a recent picture of my last salon visit after she applied color and highlights. What do you think? You can find Pantene in store at Walmart or at Walmart.com. There is a 2x money back guarantee on their products if you aren’t satisfied! Do you frequently color your hair?